Details: Heading to Tagaytay or Sta. 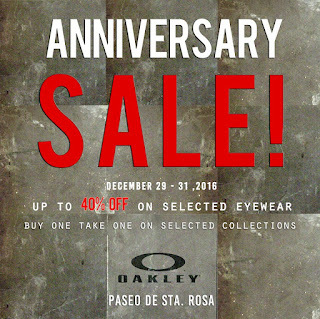 Rosa this weekend? 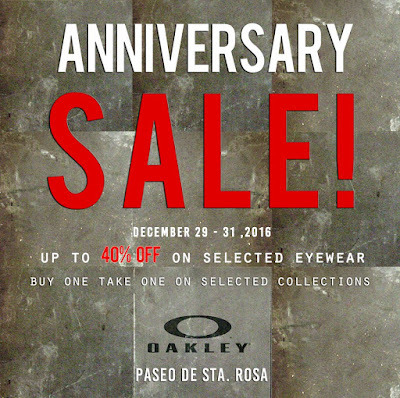 Check out Oakley's Anniversary SALE happening until December 31, 2016 at O Vault Paseo de Sta. Rosa.